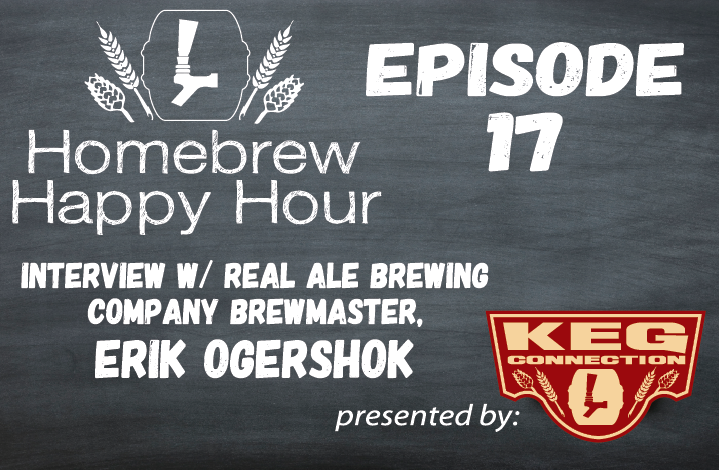 It’s our favorite day of the week as another episode of the Homebrew Happy Hour is back in your life! This week, we drove down the road to beautiful Blanco, TX to tour the amazing Real Ale Brewing Company where we met up with their brewmaster, the infamous Erik Ogershok. Erik showed us around the campus and we had the pleasure of setting up our equipment in their new tap room to sit down and learn more about Real Ale and Erik.